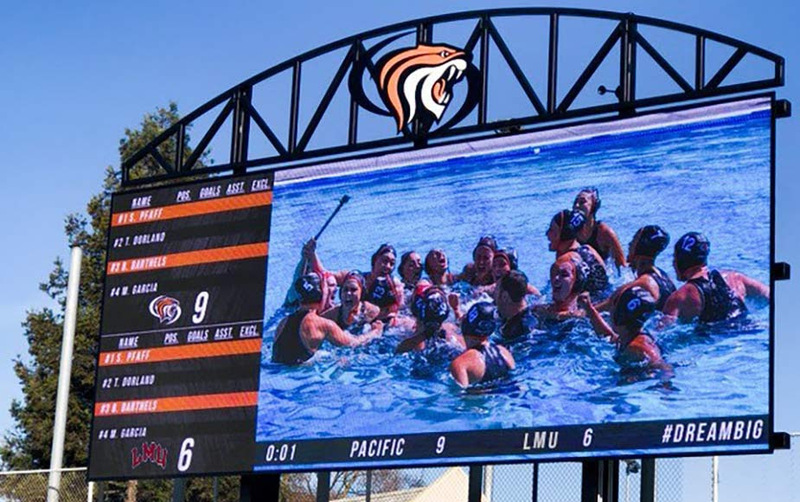 University of the Pacific (UOP) has selected Daktronics to design, manufacture, and install a new LED video display at Chris Kjeldsen Pool in Stockton, California. The installation took place in December 2018 and is now informing and entertaining Tigers aquatics fans. 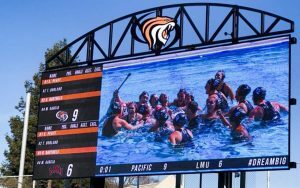 The new video board measures 12 ft. high by 30 ft. wide and features 10mm line spacing to bring live video, instant replays, race results, statistics, graphics, and sponsorship messages to fans attending aquatics events. It is capable of variable content zoning allowing it to show one large image or multiple zones of different content. Daktronics LED video technology features environmental protection to ensure consistent performance in harsh climates and settings, such as the humid atmosphere of aquatic venues.